TWRP Recovery was first developed in 2011 by the Team Win Recovery Project who went on to create what is now known as the most popular custom recovery in the world. These are the instructions to install TWRP Recovery on Samsung Galaxy Alpha smartphones. You must have the Samsung Galaxy Alpha smartphone to install the TWRP Recovery image found in this guide or else you risk bricking the device. Any device that is not named the Galaxy Alpha has a real possibility of getting bricked. You do not need to have root access on the Samsung Galaxy Alpha  smartphone before you follow this guide. However, anyone who wants to install the TWRP on the Samsung Galaxy Alpha using the DD Install method will require root access. We are not teaching you anything to do with the DD install method during this guide. Download the Samsung USB Driver  on the computer running Windows before you start the guide. You will need your new drivers up to date so the Samsung Galaxy Alpha, the computer and the Odin flashing tool can all talk with one another. failure to install the drivers could result in the guide not working. Download the TWRP Recovery for the Samsung Galaxy Alpha smartphone from this link . Extract the files on the desktop of your computer: drag them to the desktop > right-click > extract here. Run the Odin executable file by double-clicking the mouse over the Odin exe file and the flashing tool will open on the desktop. Turn off the Samsung Galaxy Alpha smartphone by long-pressing the Power button and wait until the device turns off completely. 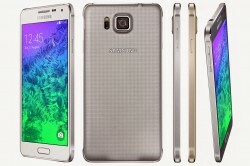 Reboot the Samsung Galaxy Alpha in download mode . Connect the Samsung Galaxy Alpha to the computer with the USB cable. Click the PDA or the AP button that you see from the Odin user-interface. 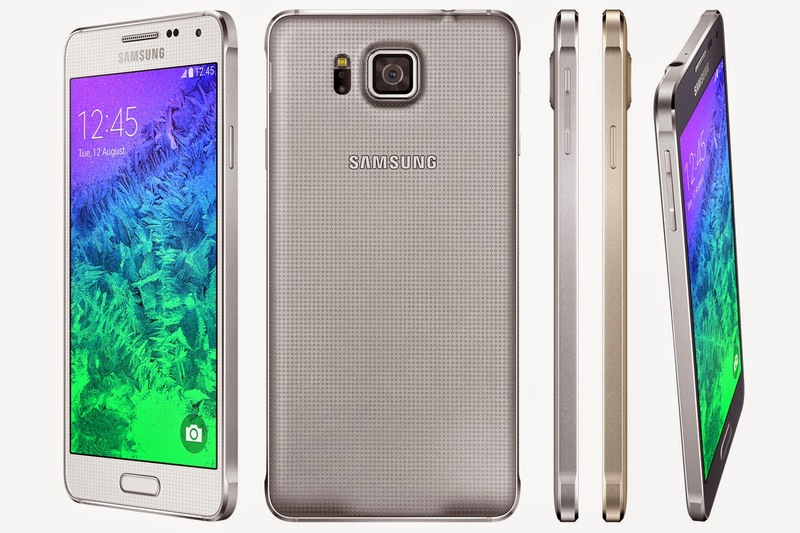 Upload the TWRP Recovery tar file for the Galaxy Alpha smartphone. Uncheck the Auto reboot box from the Odin user-interface. Do not change any of the other default settings from the Odin flashing tool’s user-interface. Click the Start button and the Odin flash tool will flash the TWRP custom recovery on the Samsung Galaxy Alpha smartphone. Since you unchecked the Auto reboot box earlier before flashing, your Samsung Galaxy Alpha will not reboot automatically. You should reboot it now manually by reboot the Galaxy Alpha to recovery mode straight away to avoid the stock recovery wiping your custom recovery. You can boot it to recovery mode by pressing the Volume Up + Home + Power buttons during the booting process. It should now boot to the TWRP you flashed. Once you have the TWRP loaded just once, it will forever wipe your stock recovery until you choose to flash the stock recovery in the future. Those interested can find out how to root the Samsung Galaxy Alpha  smartphone using the CF-Auto-Root tool by Chainfire and the same Odin flashing tool. You might as well keep it open and fully customize your device at once. Any issues with rooting and installing a custom recovery should be fixed by trying out a different version of the Odin flashing tool.